I never really liked cauliflower until my Oma roasted some for dinner one night while I was visiting; and since then, this dish has become a fast favorite in our household. My Oma used fresh herbs from the garden to flavor hers, but we started using Korean red pepper to add a nice kick. 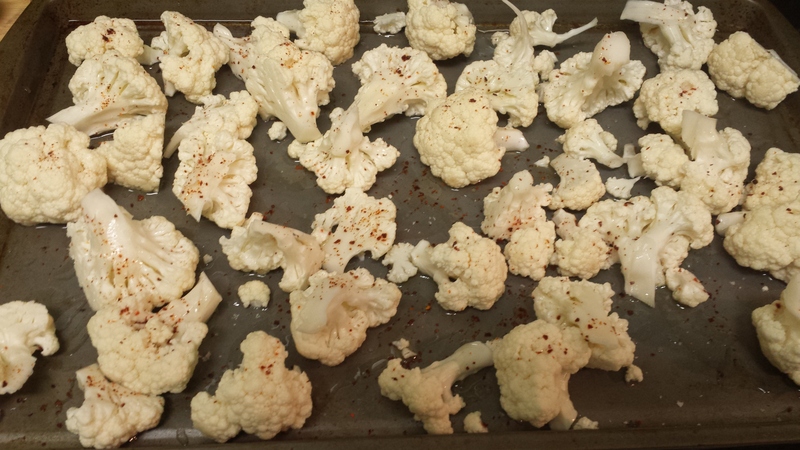 Not to mention, the white cauliflower with the bright red pepper flakes looks oh-so appetizing. Please experiment with this recipe and let me know how you like to season your veggies, so we can try too! 2-4 tbsp olive oil, depending on your tastes. Cauliflower really soaks the olive oil up, so I tend to add more than other vegetables. Preheat the oven to 425 degrees. Cover a large baking sheet in foil and set aside. Next, cut the cauliflower into bite-sized pieces by cutting the florets off the stem. You just want the white bits, no leaves or anything. 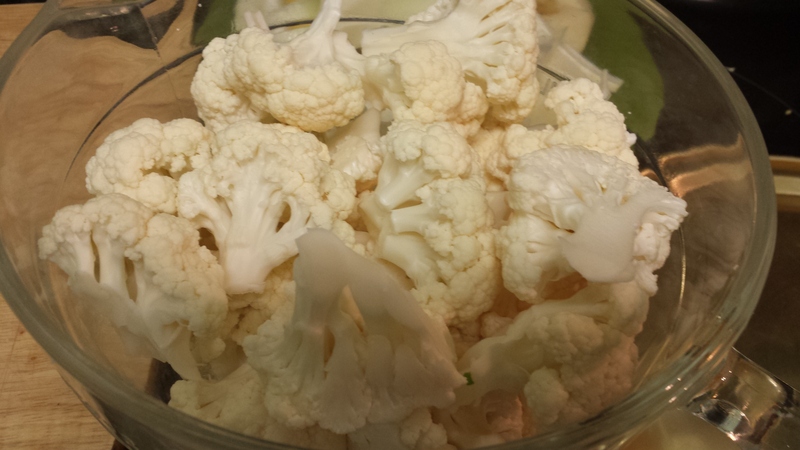 Put the cauliflower in a large bowl and add the salt, olive oil, and red pepper. Mix thoroughly until fully coated, you can add more olive oil if necessary. The cauliflower should appear glossy, but not be dripping with oil. 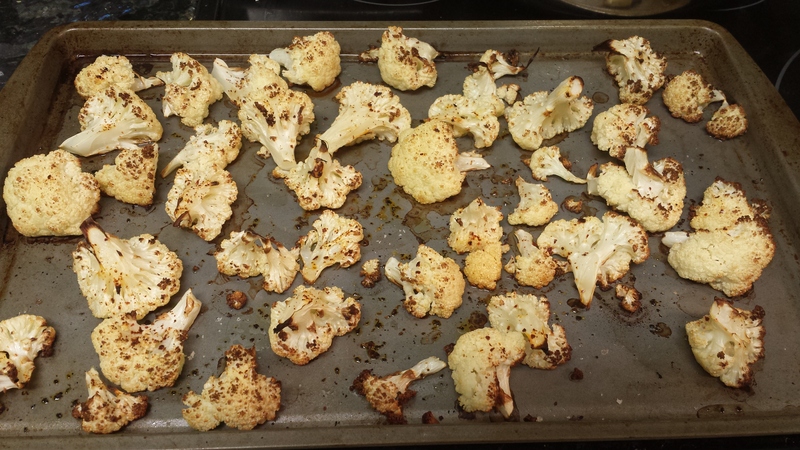 Put the cauliflower on the large baking sheet in a single layer. Then, roast it in the oven for 35-40 minutes until browned and crispy. Serve hot (and crunchy) as a side dish. I love how hearty cauliflower is, it stays in my fridge for ages. Yummmm!